Issa Al-Kharusy and Mr. and Mrs. Bomni of Filtrex, a Foundation Platinum SponsorSeptember 12, 2011. Members of the WWIF Corporate team flew to Colorado to attend the WQA Mid-Year Conference. Guillermo Guzman, Founder and CEO; Issa Al-Kharusy, Senior VP Global Marketing; Denise Al-Kharusy, Marketing Director and Kurt Peterson, VP of Marketing attended the conference. WQA Mid-Year draws the entire WQA Board of Directors and other key members of the WQA and the the Water Purification Industry. 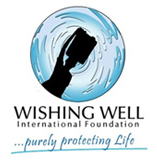 Wishing Well International Foundation and Safe Water Team, an NGO out of Michigan whose sponsors have made it possible to establish Hydraid distrbutions centers in Ghana, Haiti, Dominican Republic and Honduras, have forged an agreement of mutual cooperation. Under this agreement SWT will assist WWIF in fine tuning and implementing a fundraising strategy geared more towards reaching the water purification industry. Rachel Beckwith was just 9 years old when she died on Saturday July 24; however her thirst for bringing clean drinking water to those in need must live on. Rachel was taken off life support on Saturday after she sustained fatal injuries in a 14-vehicle pile up near her home in Bellevue, Washington three days earlier, CNN reported. New team members join Wishing Well International. I would like to thank everyone for a great turn out at the First Annual Lighthouse Point Chili Cook Off benefitting Wishing Well. A special thanks to everyone who volunteered their time and resources for such great cause, to all the businesses and individuals who sponsored the event by donating items to be auctioned off and everyone who participated in the Tennis and cook off. Prior to the end of April on the 25th and 26th, meetings were held between Wishing Well and Food For The Poor. At the April26 meeting it was decided Wishing Well will ship one pallet of Hydraid filters to be used for Haiti. This marks the beginning of what we hope will be a long relationship. There is much work to be done in Haiti and we feel Food for the Poor is the right partner to do it with. • Trade magazines open to help WWIF. Water Technology Magazine and Water Quality Products publication offer to help the Foundation with press releases and advertisement. This would be an excellent venue to let the water industry members know of the activities related to the Foundation. Guillermo Guzman will also approach Water Conditioning & Purification magazine and ask for its support.